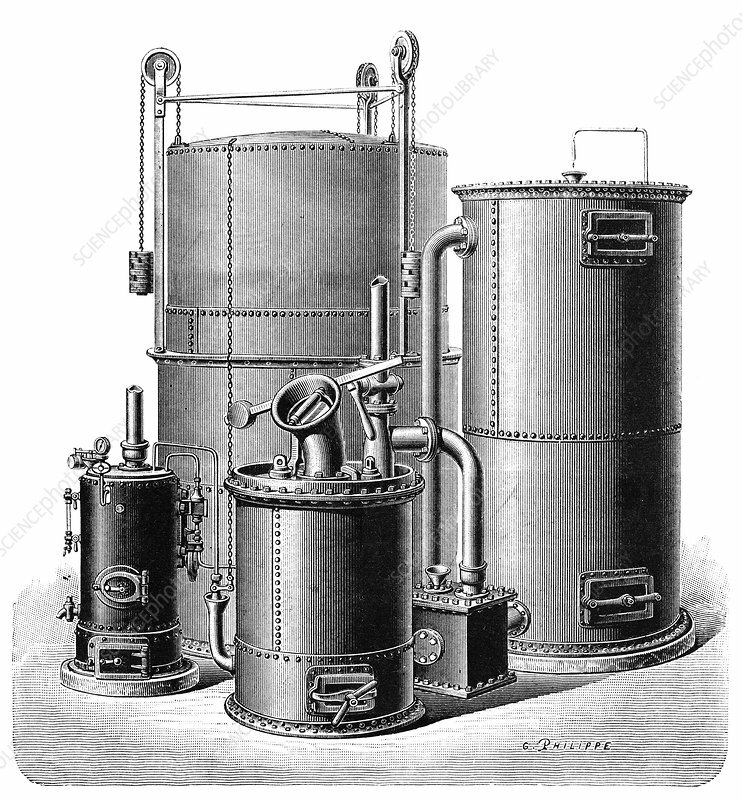 Otto gasification unit. Otto gasification unit (wood gas generator) producing 'gaz pauvre' (carbon monoxide). Gasification converts carbon-based materials, such as coal, biofuel and biomass, into a mixture of carbon monoxide and hydrogen (wood gas) for use as a fuel. Artwork from the first volume (1897) of 'La Revue Scientifique et Industrielle' by French chemist and inventor Jules-Louis Breton (1872-1940).